Early 19th century. 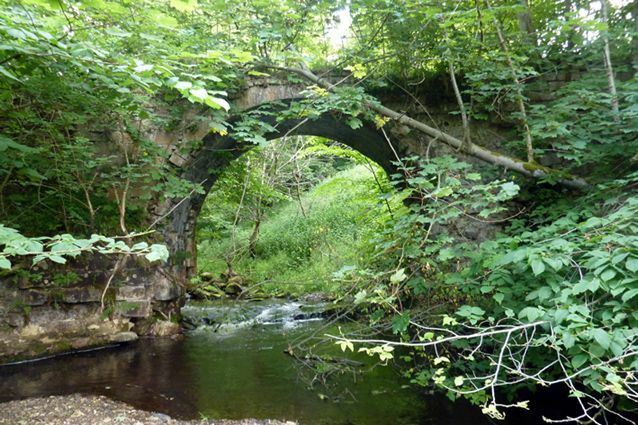 Single span, round-arched bridge over Redside Burn. Tooled coursed sandstone with polished arch-ring. Slightly splayed wing walls. Parapets missing.